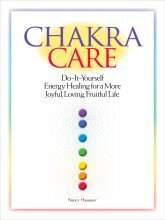 I started this website some years ago with free, general information about energy healing, of which there was (and still is) little to be found online. While I still think general information is necessary, over time I’ve realized that specifics can be very helpful, too. Stories are a great way to absorb information. So I decided to start sharing energy healing case studies and clinical experiences from my own practice, if I thought they contained useful information and insights and could be shared without revealing the identity of the client. This section of the website will grow over time. I’ve got a backlog of stories and case studies to share, but I can’t get them all up at once. If the title hasn't been turned into a link, that means it's not up yet. But it's coming! Holistic wellness--the idea that true wellness must include the whole person--is a core principle of energy healing. This story in which a client heals her "inner eye" illustrates why you should celebrate healing in all its forms. A client has a healing experience with her dead mother during an energy healing session. A mother's broken heart gets unexpectedly made whole in this detailed view into an energy healing session. An account of an energy healing session that revealed an unconscious pattern of harsh self-criticism, helping the client heal emotionally and claim greater self-respect. The Case of the Injury That Held A Healing Force illustrates the amazing power and wisdom of the energy field and the importance of staying open to its guidance during an energy healing session. Can energy healing help with [fillintheblank]? The answer: Probably, if you can release your idea of the exact form the help will come in. Peek in on a session where a woman gains some insight that helps her severe headache fade away. My client switched what she called “The Joy Current” ON. It’s good to be reminded that sometimes miracles DO happen. There are many ways to experience energy, and even if you think you can’t, I’m betting you already do. Read about some of the many ways that energy can be experienced. It’s amazing how powerful simple self-healing tools such as breath and awareness can be. And combined, they can be potent energy shifters. A clinical energy healing experience that illustrates the power of just witnessing and the principle of "least done, best done." Go from Energy Healing Case Studies to site Home Page.